It is a beautiful sunrise as we cruise at 37,000 feet but soon we descend through the thick clouds into a overcast and drizzly city. Passport Kontrol seems slow compared to our previous visits and it is hot and stuffy with so many people at one time. On the other hand, there is no customs inspection (or perhaps I found a way around it!) to slow us down. Zürich and Limmat River with Predigerkirche in the distance. 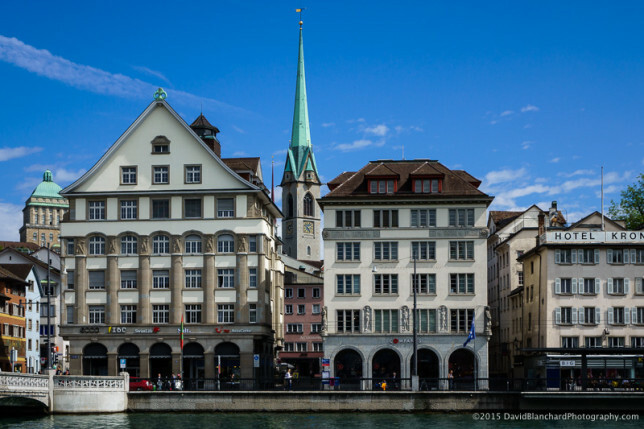 Our next task is to find the train from the airport to the Zürich HauptBahnhof (“HB”) and purchase tickets. On our previous trips our Swiss friend would meet us at the airport and guide us through the system. This time we are on our own. Still, there are no real problems and we figure it out with only a few moments of confusion—we’re tired, after all. Finally, we’re on the train to Zürich HB and then on to our hotel. It’s raining as we leave the train station and walk to our hotel where we do an early check-in at the Leoneck Hotel (which features bovine-themed rooms). This is followed by a much-needed short nap before heading out to walk around. 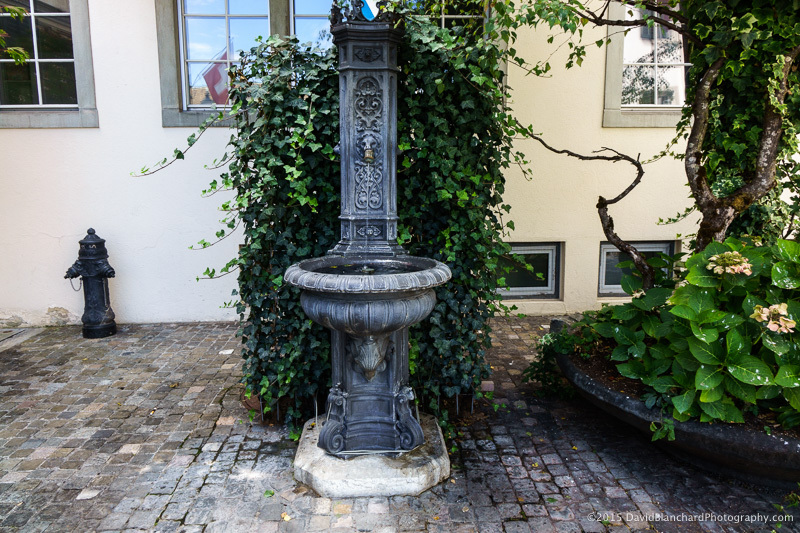 We are interested in visiting the Altstadt—the old city with its narrow, twisting streets and old buildings, plus a variety of shops, cafes, restaurants, and churches. Lindenhof park in Zürich Altstadt. 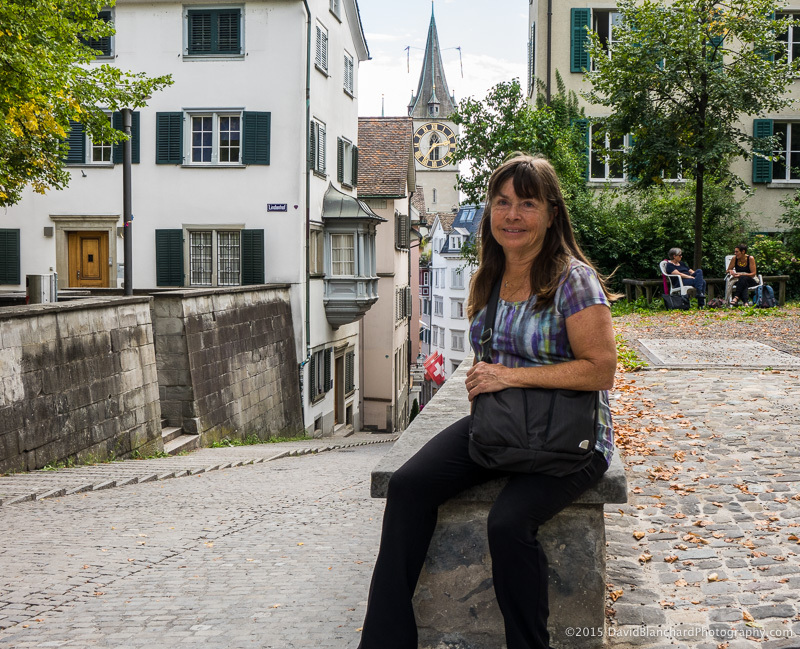 The rain has stopped and we explore the Altstadt for a few hours before crossing the Limmat River and on to the Grossmünster. We’ve been here on our previous trips and I took photographs inside the church on those occasions—but photography is no longer allowed. Disappointment. 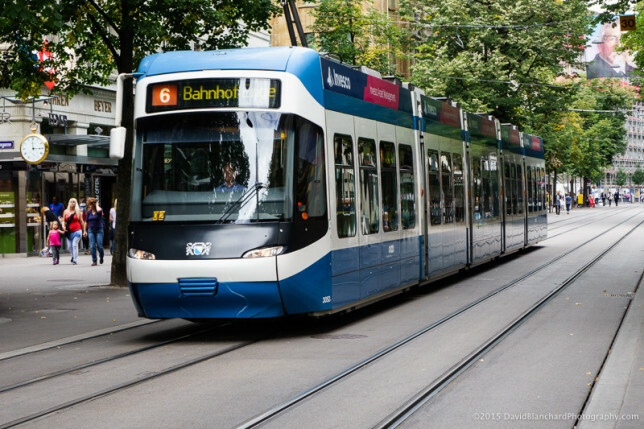 Modern trams moving through the streets of Zürich. It begins to rain again and we start back towards the hotel walking along the strasse, gasse, and platz (streets, narrow streets, and narrower streets). 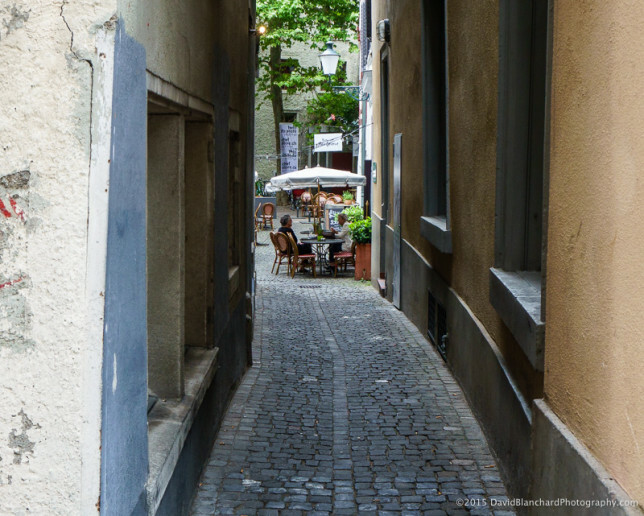 We find ourselves taking detours into the many small side streets to check them out. There’s always something interesting to see. 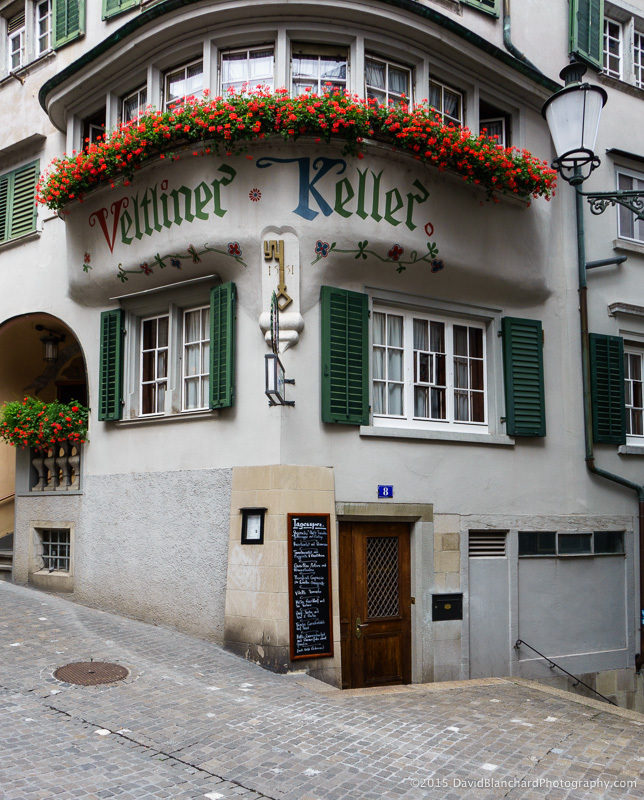 Narrow streets and very old business establishments can be found in Zürich Altstadt. A small café tucked away in a narrow street in Zürich. We return to our room and—not surprisingly—quickly fall asleep.